Believe it or not, adding energy-efficient electric heating can save you money. Sounds like music to your ears about now doesn’t it? The economy downturn has given us all pause to look at our finances. Sure on the surface adding more gadgets, devices, or instruments to your home may sound initially expensive. Adding anything to your home heating may seem beyond your financial reach. This isn’t true if you go about it wisely. Did you know that by simply supplementing your home heating with energy-efficient electric heating devices you can save money on your monthly heating bill? It’s true. Some areas of your home heating may not be working as optimally as you’d desire. Cold bathrooms and basements are prime suspects. 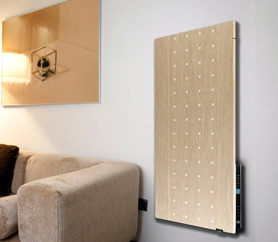 Consider placing an electric wall-mounted ECO-heater in those areas and the safe and energy-efficient heating that results will help cut your heating expenses. Your current system won’t have to work quite as hard to heat those tough to reach spaces, because your electric ECO-heater is pulling some of the weight. 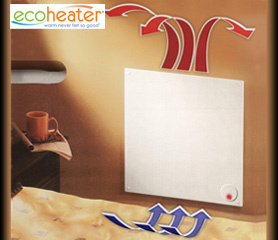 It is possible to brighten up the dark and dreary winter by augmenting your home heating with ECO-heaters.